The Trinity River is the longest tributary of the Klamath River, approximately 165 miles (266 km) long, in northwestern California in the United States. 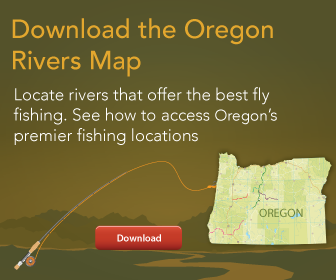 It drains an area of the Coast Ranges, including the southern Klamath Mountains, northwest of the Sacramento Valley. Designated a National Wild and Scenic River, along most of its course the Trinity flows swiftly through tight canyons and mountain meadows. Man I love talking about this river, its becoming one that I guide more and more each year, and it keeps producing while others are not, sometimes not so easily, but thats what makes ... morethe Trinity so cool and fun to fish, you have to "Earn It". With that said its even fishing as I type. This is one of my favorite times of year on the Trinity, the lower flows make wading a breeze, and there are not a ton of people on the river. 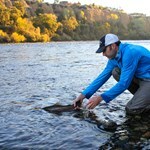 Your typical half pounders can be found throughout the river system and the closer to the dam the more you will find. The halfies will put any 5wt rod to its test and while you can get a ton nymphing, these mini-chrome domes will eagerly take a dry or a swung fly, they are just a hoot. 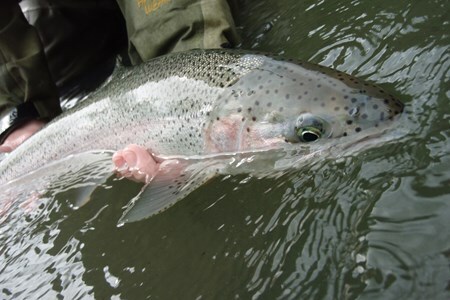 On the bigger note, strewn about in the river system are the early fall run fish that can range from 3-6lbs and some pushing 10lbs are caught this time of year as well. 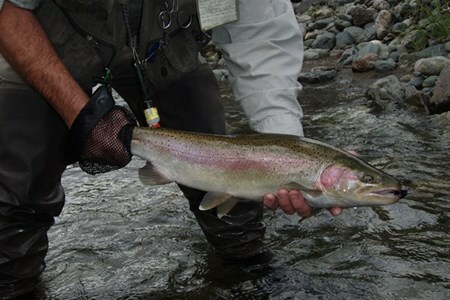 While nymphing once again will get you on a good number of fish, these early fish will talk swung flies likes its going out of style, they love skated flies too. 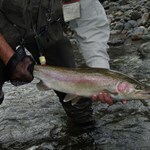 If you are looking to swing from now till about mid Nov this is the river, and that is prime time to swing for chrome. 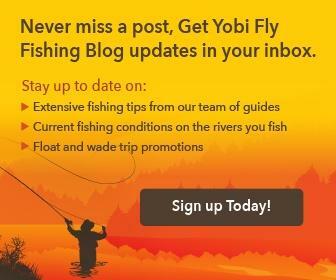 If you are looking for something different, treat yourself to a guided trip down the Trinity River, you wont be disappointed with its beauty, solitude and over all fishing experience. Booking well in advance is highly recommended on the Trinity as my dates fill up fast, especially in the early season prior to December. Wow, the past few weeks on the Trinity have been extremely good to clients. While others have been working hard to find fish, we have consistently hooked a half a dozen adults on a ... moredaily basis, with my last 2 days up there hooking 16 adults and landing 8 of them, this being right after the big rain last week. 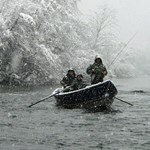 This recent storm has blown the river out again, but as I type it is already back into fishing shape. What does this mean......time to get up there and hook some chrome. We are still finding some willing fish to take a swung fly, but its all about right place at the right time, as well as water temps. This last rain storm did help bring the water temps up slightly. The indicator with nymphs below has really been cleaning house, and if you have the right flies, the right drift and the right float, there can be some epic fishing. 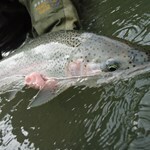 Look for the Trinity to be the go to steelhead fishery for the next month or two, especially if you want to get away from the crowds, and try you hand at swinging. Guides Tip: "Be the report, dont believe the report!!!"